The facility has the capability to process large tonnages. Deck beams, plate and all steels would be processed into sizes suitable for export. 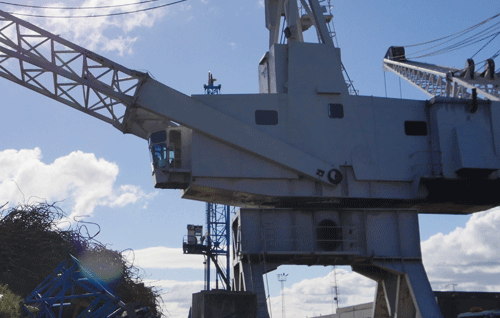 Flowlines, umbilicals are processed to their recyclable constituents with our onsite plant. Non-ferrous and hazardous materials would be separated and disposed of during this process, in an environmentally approved and acceptable manner. We buy all types of Ferrous and Non Ferrous metals which we process grade and export to the end user in the most environmentally efficient way. We can offer a collection service either a one off collection or we can provide containers of all types and sizes to suit you requirements on a more permanent basis.